The ACT and the SAT are the two largest college entrance exams in the country. Certain ACT / SAT scores can qualify students for scholarships and grants. Most colleges require students to submit their scores of one or the other in order to apply. There are a ton of interesting statistics about the entrance exam–did you know you’re more likely to be struck by lightning than get a 1 on the ACT? Or that, on average, Harvard students are ranked in the 99th percentile for both tests? The ACT might be the more commonly taken test, but colleges don’t really prefer one over the other. Really, they don’t. One myth that persists is that elite colleges–like the Ivy Leagues on the East Coast–favor the SAT, however, studies have shown that more students report SAT scores on the East Coast because it’s more commonly taken than the ACT in the region–not that the SAT is superior. Check Out this issue of Local Business Today, featuring Achieve Academics article on page 9. Article published by NYU, Press Contact: Christopher James. The study shows that there is growing awareness many subgroups of youth experience high levels of chronic stress, to the extent it impedes their abilities to succeed academically, compromises their mental health functioning, and fosters risk behavior. Furthermore, this chronic stress appears to persist into the college years, and researchers warns it may contribute to academic disengagement and mental health problems among emerging adults. “School, homework, extracurricular activities, sleep, repeat—that’s what it can be for some of these students,” says Noelle Leonard, PhD, a senior research scientist at the New York University College of Nursing (NYUCN). This article was republished from NYU, read more. Why Is ACT More Popular Than SAT? For over five years, ACT has been the most popular test for college admissions and scholarships. In March 2016, College Board threw out the 2005 version of the SAT — but ACT remains number one. Why is that? 1. The pace of the ACT is faster than SAT: fewer seconds for each question. When students take the ACT for the first time, it is quite common to run out of time. Once they learn to manage time using strategies – and get lots of practice – they can beat the clock and get more questions right. 2. ACT is more straightforward than SAT: the answer choices are more clear and distinctive. SAT often gives two answer choices that look right. It can be stressful and time-consuming for students to figure out which answer is THE right one. ACT gives answer choices that are simpler to differentiate. 3. The ACT Math section is built differently than SAT Math: all multiple-choice and all calculator-allowed. The redesigned SAT Math includes a non-calculator section for the first time, which many students find more challenging. SAT Math also includes the dreaded grid-in questions, where you can’t guess the answer or work the problem backwards. ACT Math has none of these disadvantages. On top of that, the SAT Math score is 50% of the total SAT score, while ACT Math is only 25% of the ACT composite score. 4. ACT has a separate Science section (a data exercise), while SAT includes a few data questions in their Reading, Writing and Math sections. The ACT Science section is unlike any test your student has seen before. The crazy thing is the Science score is weighted the same as Reading, English (multiple-choice writing) and Math. First, ACT Science really doesn’t test science knowledge. It’s a data exercise where students answer questions by finding the right nuggets of information in tables, graphs and charts. Then they apply some light data analysis to identify the right answers. Students can usually improve Science scores pretty quickly by applying strategies and getting plenty of practice – without having to build underlying subject skills. Use this link to see a section-by-section summary of ACT-SAT differences. How should your student get started? If they took the PSAT in October, we recommend they take a full-length ACT practice test (3 hours) to experience the look and feel of the fast-paced test. Then we’ll meet to compare the PSAT scores with ACT scores to see which test results are better. We’ll also answer your questions and discuss how your student feels about each test in order to select the least objectionable one. If your student did not take the PSAT in October – or didn’t test well that day – we can administer our ACT vs SAT Comparison Test. It’s a pared-down version of both tests and takes 3.5 hours. In any event, Dogwood does not charge you to proctor any ACT-SAT practice tests. We then use those results to identify each student’s needs so our tutors can customize each one-on-one lesson. Call Jennifer at 763-559-8378 to discuss how your child can achieve his or her best results on the ACT and/or SAT. We’re not saying ACT is better for all students because SAT is still a good fit for many. For students interested in taking both tests, Dogwood offers a combined ACT and SAT program to prepare for both tests simultaneously. That’s not as ominous as it may sound. Our expert tutors work one-on-one with your student in our professional learning center, encouraging them to improve their skills. What’s a Best SAT Score for College Applicants? Youths who plan to submit SAT scores for college applications can use summer break to study, but it may not always be clear which SAT score should be their goal. The best SAT score for college applicants depends on their target schools, experts say. Admissions experts encourage prospective students to understand what colleges consider a good SAT score. The Preliminary SAT and the National Merit Scholarship Qualifying Test are taken by millions of high school students yearly. However, most parents and students don’t fully understand the possibilities these tests offer. In addition to preparing students for the hurdle of the SAT, the PSAT/NMSQT opens the door to countless scholarship opportunities and can provide invaluable insight on a student’s academic progress in route to college. Take a look at some of the bullet points below to learn more about the importance of the PSAT/NMSQT and the ways in which it can make a meaningful difference in the academic and collegiate life of your child. · The PSAT/NMSQT gives students a test-run of the real SAT. Studies show that practice tests are among the most effective ways to absorb material for the long-term. When it comes to prepping for the SAT—one of the most important considerations when applying to college—the PSAT gives students excellent first-hand experience. Taking the PSAT affords students practice in time management, a sense of how questions and concepts are framed, and insight into what their weak spot may be. · The PSAT/NMSQT is a treasure trove of scholarship opportunities. When students take the PSAT, their results are automatically screened for the NMSQT, which is an academic competition to award scholarships to competitive students. While the PSAT serves as a valuable test-run, adequate preparation for this test shouldn’t be overlooked if you and your student want to pursue scholarship opportunities. Those interested in using their PSAT/NMSQT scores to connect with foundations and programs offering scholarship assistance can make use of the Student Search Service once scores are received. The PSAT/NMSQT gives students and their families insight into college readiness. Another benefit of the PSAT/NMSQT is that results offer tailor-made data about a student’s readiness for college-level courses. The PSAT/NMSQT is designed to asses a student’s progress toward college year-to-year. This sort of comprehensive, personalized feedback allows parents and tutors to help students target weak spots, fortify strengths, and hone in on the preparation necessary to boost scores or sure up academic goals. · The PSAT/NMSQT creates a road map for AP courses. The results of the PSAT/NMSQT guide parents, teachers, counselors, and students in determining which AP or IB courses are best-suited for a student’s skillset. This creates a natural transition for high school students entering higher-level courses, which in turn creates a more competitive and college-ready applicant in the future. While the PSAT/NMSQT may seem like just a warm-up for the real deal, in many ways it can be just as important. Whether results connect students with scholarship programs, alert parents and tutors to gaps in learning, or pave the way for greater participation in AP courses, the importance of the PSAT/NMSQT is not to be overlooked. At Achieve Academics, we offer an array of tutoring resources, from one-on-one work to group study, and more. Make sure your child never misses out on an opportunity—connect with us today and we’ll guide your student toward making the most of the PSAT/NMSQT this fall. Did you know Minnesota is no longer a tax neutral state (no state tax deduction) for 529 Plan contributions? Minnesota taxpayers now have the option of claiming either a tax credit or deduction for contributions to ANY state 529 plan. As a Minnesota tax payer, you can either deduct up to $3,000 for a married couple filing jointly or $1,500 for all other filers for contributions made to a qualified 529 account or opt for a non-refundable tax credit of half contributions up to $500, subject to phase-out starting at a federal adjusted gross income of $75,000 (single filer). The credit is reduced by any withdrawals made by that taxpayer during the taxable year. For additional details see on this new benefit, visit Minnesota HF 1, 1st Engrossment - 90th Legislature, 2017 1st Special Session. Signature Wealth Management is a marketing name for securities and investment advisory services offered through SagePoint Financial, Inc. Member FINRA/SIPC. Wading through college application season is a stressful task for even the brightest, best prepared students. So how can your student mitigate the pressures of applying to college? For starters, students should use the summer to get a valuable head start on college applications. With that in mind, here a few ways for students to use their summertime to maximum benefit before the time comes to complete the stack of applications that await. · Create a detailed game plan. Students can avoid getting overwhelmed by creating an explicit road map for college application season. Creating a calendar of important dates and deadlines, along with a corresponding checklist for each college or university’s required documents are helpful ways to streamline the application process and remove some of the anxiety from the equation. The summer gap is also an excellent time for students to connect with those they’ll be asking for letters of recommendation, providing plenty of time to tailor their letters accordingly. The relaxed pace of summer gives students a chance to dive into the details of the universities to which they plan to apply. A student can improve his or her odds of admittance by getting to know admission statistics made public by potential universities, which can add an edge to the application process. For instance, applicants are often grouped by geography, and certain areas may require a higher GPA to stand apart from the pack. Likewise, students who plan ahead during the summer months can determine whether applying Early Action can increase their chances. Research can also relate to scholarships, too. Direct your student to spend a lazy summer afternoon digging around for scholarships or grants that can make a difference in your bottom line when it comes time to attend university. · Focus on the essay section. The essay portion of college applications often intimidates student, who are insecure about their writing skills, or apprehensive about which topics to tackle. That’s why it is so important that students plan ahead when it comes to college essays. The first order of business should be to zero in on a specific topic. It’s well known that subject matter which a student cares about will be far easier to write about at length, than a subject they don’t like. Students should dig into their activities, personal history, or interests to uncover and write about a lesson learned, a goal fought for, or an opinion to argue. Colleges are in search for specifics, and students can start by focusing on the details, rather than writing about broad concepts or qualities that don’t demonstrate individuality. preparedness, standardized test prep, and skill building. Contact us today to help your student can get the head start that he or she needs to stand out this application cycle. As a full-service tutoring center, we are quite literally in the business of helping students develop meaningful and lasting learning and study habits. That’s because research continues to demonstrate that not all learning approaches are created equal. What’s more, recent studies show that the learning process can even be accelerated by incorporating three tips and tricks we’ll highlight below. Self-testing is perhaps the most effective tool in a student’s arsenal when it comes to retaining and synthetizing information. Practice tests not only put information in context, but also provide a trial run for students to assess progress. Some examples of self-testing include: flash cards, sample questions provided in by textbooks, and creating columns to match key terms with definitions. Even better, self-testing works across subject matter—from memorizing new vocabulary words to retaining mathematical formulas. Lastly, students who quiz themselves as a way of learning new information or prepping for an exam benefit from self-testing’s straightforward approach; it doesn’t require complicated strategies or materials, only a basic pre-test approach that yields high retention and results. Cramming for a test the night before is a last resort, not an effective long-term strategy to learning. Instead, distributing study sessions over a period time allows for opportunities to review and fully absorb study material. Reinforcement strengthens learning connections, helping new and complex concepts withstand the test of time. This accelerated learning method is called distributed practice. What’s the best approach to distributed learning? Pacing study sessions twelve to twenty-four hours apart allows time to let concepts sink in, then be tested and applied again and again over the course of renewed sessions. While prolonged, multiple study sessions might seem counteractive to accelerated learning; in reality, it adds value and longevity in learning, making it worthwhile. Humans are naturally inquisitive and new studies suggest that searching for the why behind a textbook’s lesson or academic concept can actually bolster a student’s ability to learn. This concept is called elaborative interrogation and while its benefits are perhaps not fully understood, compared with what we know about the previous two accelerated learning approaches, it certainly has its merits. This technique is especially powerful when it comes to learning facts. When students are challenged to consider the why behind a question or concept, they’re making overarching connections, drawing on disparate information to create an explanation. This sort of critical thinking is an invaluable tool, and early studies suggest it can improve memory among its users. Accelerated learning is about finding the right tools to get the most of out of study time. Our team of professional educators and experienced tutors are well-versed in creating customized strategic approaches that work for students of all learning styles and academic goals. Contact us today to learn more about accelerating your child’s learning and building skills that can last a lifetime. While some students look forward to spending the summer taking a break from homework, projects, papers and various assignments, the gap between school years poses a potential threat to long term academic success. Summer learning loss, is the blanket term for what can happen when students take a break from utilizing study skills or neglecting their educational pursuits during the summer. That’s why it’s so important that students continue learning year-round. Without opportunities to continue to practice vital skills including reading comprehension, math, and writing, students are at risk of experiencing a loss or dulling skills. To put it in the simplest terms: when you snooze, you lose. Studies dating back to the early 1900s show that young people lose approximately two months of grade level equivalency in math computation skills during the summer. Reading achievement losses are not uncommon either. Moreover, more recent studies have shown that the difference between various students’ summer learning experiences affects college graduation rates in the long term. Summer affords an incredible, untapped opportunity for students to not only prevent summer learning loss, but to gain ground on the upcoming school year. Because other school programs often cease during the summer, students have more time, and greater flexibility to sharpen existing learning skills, pursue their interests in subjects they particularly enjoy, or those in which they need additional practice. Structured summer programs for students will prevent the loss of vital knowledge, all the while preparing students to excel in the coming year. As an added benefit, structured educational summer programs help parents to ensure that their children don’t remain idle or unproductive for weeks on end. Please contact us today to help safeguard your student’s success not only for this summer but for the next school year and beyond. As a full service tutoring center, we are dedicated to ensuring that we do all that we can to help your student succeed academically, and beyond. As the result of this commitment, we go the extra mile, by offering cutting edge assessment tools, which help us identify the best way we can help your child excel in their education. Consider that no two people are alike. That means that every student will have his or her own, unique cognitive skills and strengths. Since cognitive skills identify how a student learns best, it’s vital to know what cognitive strengths and weaknesses your child has when it comes to learning. Unfortunately, most schools never test cognitive skills, so parents and students are often in the dark as to how to best help their students to succeed academically. So how do you go about discovering how your child best grasps and retains new material they are being taught? Mindprint Learning provides precisely that type of assessment. It is essentially a blueprint of how a child learns best. Mindprint was developed at the University of Pennsylvania Perelman School of Medicine. As an educational technology company, Mindprint provides a thorough learning profile of a student, after they have completed a one-hour online cognitive assessment test. Once the profile is provided, parents, teachers, and tutors are armed with incredibly powerful insight into how a student can achieve her full potential, through ensuring they are in an environment conducive to success. Through assessing and evaluating these strengths, Mindprint helps to identify areas where students are especially strong or gifted and any challenges to learning they may have. This way parents and tutors can best support students in their learning efforts. In addition to providing the revealing results of the Mindprint cognitive test, recommendations for how to best take tests in school, how to best complete homework, and how to best engage the student are provided. Today, Mindprint is one of the most valid and reliable cognitive testing assessments available, documented in NIH-sponsored studies and peer reviewed journals. It is also the first test of its kind to be available to students to take at the time of their choosing, so that the student is relaxed and positioned to perform at his very best. We proudly offer and recommend Mindprint cognitive testing, in addition to private, one-on-one tutoring, small group classes, and comprehensive test prep, and professional college counseling. Contact us today to learn more. Standardized tests can evoke feelings of stress and anxiety for even the most academically successful students. Stress and anxiety over these tests often manifest themselves in fear-based thoughts and emotions. Mental or emotional symptoms of stress may include racing thoughts, inability to concentrate, feelings of impending doom, and feelings of being scattered. However, stress and anxiety brought about by standardized testing can also have physical effects on the body, causing students upset stomachs, back and neck pain, headaches, jitters, chills, sweating, or feelings of lightheadedness. Obviously, none of these mental, emotional, or physical symptoms are ideal when it comes to students being able to perform their best on a standardized test. Even worse, it’s now well documented that stress and anxiety can have both short and long term health consequences. That’s precisely why it’s more important than ever for students to try to alleviate, or at least reduce any stress and anxiety stemming from a looming standardized test. Students experiencing stress or anxiety about a forthcoming standardized test such as the PSAT, SAT, or ACT should try employing these tips to reduce text anxiety. In doing so, students are liable to perform better, all the while safeguarding their physical wellbeing. Wherever possible, students should choose a test center that is convenient to avoid potential traffic delays, or other unforeseen obstacles that may result in students running late. Likewise, if possible, choosing a test center with plenty of lighting, and adequate space is ideal. Students should make a checklist of items needed for the test and have them ready to go before the day of the test, to avoid scrambling on test day. In the days leading up to a standardized test, students should make sure to get a bit of exercise. Exercise is said to sharpen the mind, in addition to releasing feel-good hormones in the brain. Studies have shown that sleep deprivation exacerbates stress and anxiety. Students need to make it a priority to get plenty of sleep before test day. Studies show that focusing on taking long deep breaths helps to slow down a racing heart. In addition, students will find that taking deep breaths can help to refocus when thoughts, or fears start to overwhelm. Students need to remind themselves during any standardized test to be present, and focus on the question at hand, not the next 50 questions. Likewise, if taking the written part of an exam such as the SAT or the ACT, students should try to cross that bridge when they come to it, instead of thinking about it while answering multiple choice questions. Students who feel stress and anxiety coming on during a test may find relief in shifting positions, or engaging in light stretching to relax tension in the neck or shoulders. Students who are nervous or anxious about a test sometimes find that worrying about their anxiety itself creates even more stress. So, it’s helpful to understand that some level of anxiety is to be expected. Tests can put pressure on students, and that’s ok. 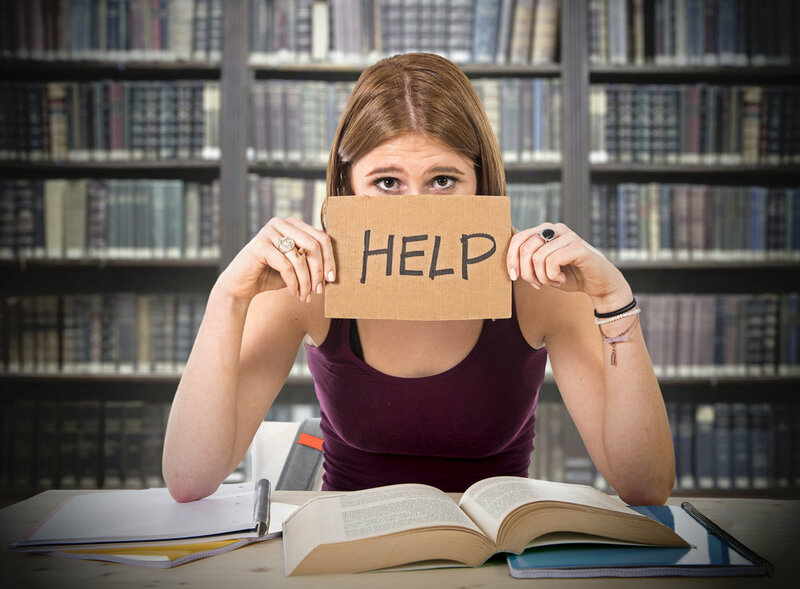 However, if students are experiencing debilitating stress or anxiety surrounding a pending exam, it may be time to seek professional help to reduce or better manage stress. Our professional tutors and educators are here to help students to perform their very best on standardized tests. With years of experience, and plenty of advice and tools for students looking for additional secrets to success on standardized tests will find a wealth of useful information available in private, one-on-one tutoring, small group classes, and test prep courses available at our tutoring center. AP or Advanced Placement exam scores can help students strengthen their college applications— in cases where students perform well on the test. Likewise, performing particularly well on the test can even result in college credits earned. So, how exactly are AP exams scored? Each AP exam is scored on a scale from 1-5, with 5 being the top score. This is called a scaled score. A score of 3 or above is considered passing, but many schools will only accept scores of 4 or 5 in order for a student to be given college credit. The scaled score that a student receives on an AP exam is the result of converting a student’s composite score. The composition score is derived from raw points earned in multiple-choice questions, along with points earned from free responses. Most AP tests have a free response and multiple-choice section. Different subjects may weigh the score of each section equally, or may weigh one section more heavily than the other. The multiple-choice section of an AP exam will be graded by computer, and students are scored only on questions answered correctly. No deductions are made for questions unanswered or answered incorrectly. The free response section is graded during the early weeks of June each year by teachers and professors. Known as the “AP Reading,” during this time, thousands of free responses written by students are graded by educators. Free responses are given a "holistic" score, after being evaluated. Generally speaking, points are not deducted for the rare, small error such as a grammar mistake. The responses are instead being evaluated for correctness and effectiveness. Free responses are graded on a scale of 1-9 with 9 being nearly perfect, and 1 being ineffective or incorrect. Individual scores from each free response are then tallied to arrive at a student’s free response raw score. From there, the free response raw score and the multiple-choice score are combined so that they are weighted properly, resulting in a composite score. Composite scores, which are often in the range of 100-150 are then scaled to a score of 1-5. It’s very important to be aware that tests don’t always weigh the free response score and the multiple-choice score equally. On some tests for example, the multiple choice may be worth 45% of the score, with the free response accounting for 55% of the score. To learn how specific tests weigh the free response versus multiple-choice score, click here, and then select the specific exam. The best way to ensure that you get the highest possible AP score is to prepare thoroughly for the tests. We offer a variety of small group classes and one-on-one tutoring services that not only boost your student’s SAT, ACT, and/or AP performance, but also provide personalized strategies so that students stay engaged and proactive throughout their academic career. SAT Subject Tests: What Tests Should Be Taken? When it comes time to determine which SAT Subject Tests high school students should take, it’s always a good idea to confirm which tests are required or recommended by specific colleges. In some cases, universities have strict requirements about the number of Subject SAT Tests that must be taken. Other colleges require specific SAT Subject Tests that must be taken. Still other universities may require SAT Subject Tests, but don’t mandate the specific subjects. Finally, there are also schools that will accept SAT Subject Tests, if they benefit an applicant, irrespective of the subject. In cases where SAT Subject Tests are accepted or recommended, but students can choose which tests to take, the best course of action is to take the SAT Subject Tests in areas of study in which the student excels. This is particularly helpful if a student is particularly strong in a subject, but no AP or equivalent course is available. Below are some examples of the specific requirements or recommendations from various colleges and universities. The SAT or ACT with writing and 2 SAT Subject Tests are typically required, unless applying to the College of Fine Arts programs. In addition to the SAT or ACT with writing, Harvard requires 2 SAT Subject Tests. In addition to the SAT or ACT, applicants to MIT must take one SAT Subject Test in math and one SAT Subject Test in science. American University requires the SAT or the ACT without writing, and recommends that homeschooled students submit 2 SAT Subject Tests. The SAT or the ACT with writing are required. Students pursuing medical and dental programs are required to take the SAT Subject Tests in Chemistry and Math Level 2. A SAT Subject Test in a foreign language is also suggested. CWRU requires the SAT or ACT with writing and will consider Subject SAT Tests if submitted. The SAT with essay, or the ACT with writing are required. 2 SAT Subject Tests are also recommended. Students applying to the Pratt School of Engineering should specifically take Math Level 1 or 2 SAT Subject Tests. Georgetown requires the SAT or the ACT, yet does not require, or even consider the essay from either Test. Instead, Georgetown mandates that all applicants submit all College Board and ACT scores, and strongly recommends applicants take 3 SAT Subject Tests. Northeastern requires the SAT or the ACT, and recommends SAT Subject Tests for homeschooled students. In addition to the ACT or SAT requirement, Northwestern recommends 2 SAT Subject Tests. SAT or ACT is required, though the writing portion is not required. SAT Subject Tests are recommended. Specifically, for arts, humanities, and social science area of studies, Penn State recommends any two SAT Subject Tests. Those pursuing nursing are advised to take a science subject Test, with Chemistry strongly suggested. Those planning to study science, technology, engineering or math, should take a Math Level 2 SAT Subject Test, along with a science subject Test. Business majors are encouraged to take the Math Level 2 Subject Test. The SAT with essay, or the ACT with writing are required. In fact, all test scores from all dates need to be submitted for the SAT and ACT. SAT Subject Tests are recommended, but Stanford allows applicants to decide which SAT Subject Test scores (if any) they choose to submit. The SAT with essay or the ACT with writing are required. SAT Subject Tests are considered, if they are helpful to an applicant. In addition to the SAT or the ACT, UNC Strongly recommends SAT Math Level 1 or 2, as the test is used for freshman year course assignment. SAT or ACT is required, though the writing portion is not required. Subject SAT Tests are not required. SAT or ACT is required, but Subject SAT Tests are not required. From private, one-on-one tutors and small group classes, to comprehensive test prep, and more, Achieve Academics offers the best in college preparedness. Our tutors are equipped with the expertise, experience, and resources necessary to help your child through the process of applying, choosing, and accepting a college admissions offer. Selecting the high school courses that will best enhance a college application should not be done haphazardly, or hastily. As the college admissions process becomes ever more competitive, students need to be mindful of what will ultimately wind up on their transcripts. Here we’ve provided a how-to guide for making smart decisions about which high school classes need to be taken. Colleges and universities want applicants to have completed math through Calculus, along with significant Lab Science courses, including Biology, Chemistry, and Physics. English or Language Arts should also be taken every year, in effort to improve vital skills including writing, reading comprehension and vocabulary. Years of Foreign Language study should also be a priority for high school students. Likewise, students should also take Social Studies classes covering U.S. history, U.S. Government, World History, and Geography. Finally, in order to have a well-rounded college application, students should take at least a couple of semesters of Fine Arts courses, such as music, drama, art, or dance. Going above and beyond these courses is certainly not going to hurt, but these basic courses must be taken by all high school students planning to attend college. When available, AP or Honors Classes should be included in a high school class schedule. College admissions officers like to see candidates who are unafraid to challenge themselves, as opposed to those who choose to take the easy road to graduation. In fact, many schools favor a slightly lower grade in more challenging courses, over better grades in easier classes. The College Board allows students to confirm specific requirements of countless colleges and universities, through their College Search. By checking specific requirements ahead of time, students will ensure that all admissions requirements are met, rather than finding out at the 11th hour that they failed to take a required class. High school students should focus the majority of their attention on five core academic courses (Math, Science, Language Arts, Social Studies, Foreign Languages) every semester. Elective courses however, should reflect students’ personal interests or passions. In instances where a student has a strong passion in an area of study that is not available at the high school, it is smart to see if any courses in that field of study are available at local or community colleges. When it comes to selecting courses that should be taken in high school, it is smart to spend time in the planning stage, to yield well-rounded and well-received transcripts at colleges and universities. Make sure the basics are covered, in addition to showcasing a willingness to take challenging courses. Beyond that, pursue additional areas of study with a passion, so that your transcript showcases a commitment to success, along with a curious mind. Achieve Academics offers offer a variety of small group classes and one-on-one tutoring services that not only boost your student’s grades, SAT, ACT, and/or AP performance, but also sets students up for future success in college, and beyond. As discussed in previous posts in our Value of Test Prep Series, there is simply no substitute for a solid prep strategy, to ensure that your student performs their very best on college admissions exams or AP exams. To that end, no test prep strategy can be considered complete without a disciplined approach to timing and balance. So, what exactly do we mean by timing and balance? In order to avoid cramming for any significant test, it is advisable that students begin their test prep in earnest approximately 4-6 months ahead of their planned exam. For example, since most students will take the ACT or the SAT in their junior year, it’s beneficial to begin studying during the summer between 10th and 11th grade. Enlisting the services of an experienced test prep tutor the summer before your child’s junior year is an investment no parent will regret. 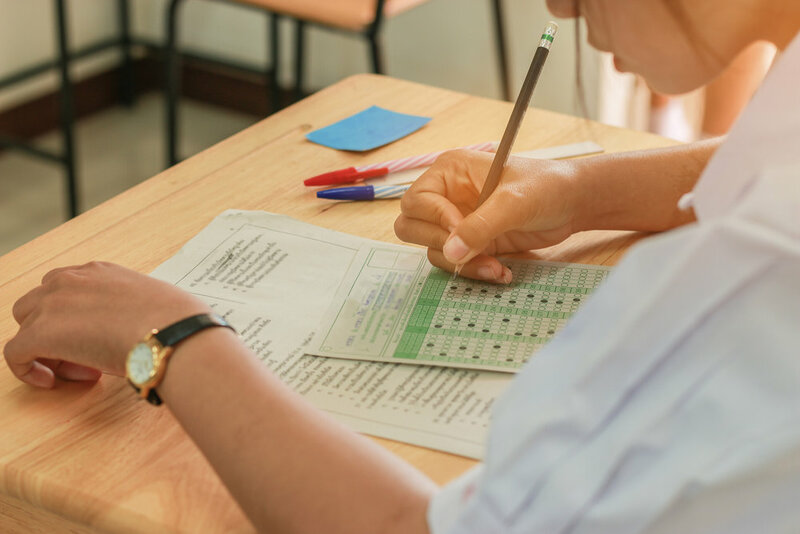 By embarking on valuable test prep sessions long before the actual exam date, students feel less stress, and are therefore able to devote their full attention to the material being reviewed. Rather than trying to absorb material from multiple subject areas all at the same time, by beginning the test prep process early, students can devote extra time to particularly challenging material. In addition, by prepping over time, students are best situated to perform well during SAT or ACT review courses which are offered through our tutoring centers just before the actual test dates. When it comes to creating a test prep strategy that will yield successful results, like all things in life, balance will prove to be key. To achieve balance, with a looming college admissions exam, or AP test exam, it is again optimal to begin the test prep process months in advance. Keeping in mind that college admissions offices are interested in seeing fully developed applicants, high school students need to showcase both academic proficiency along with extracurricular involvement. Because college admissions officers take in account grades, test scores, and school or community involvement, it is vital that your student have every opportunity at their disposal to balance these three components. After all, if your student is an athlete, and their team continues winning, additional games or competition dates will be added to a traditional team schedule. Likewise, if your student is active in music or theatre, the potential for last minute rehearsals is a very real possibility, thus taking up additional weekends or evenings, leaving less time for test prep. In effort to provide your child with every possible opportunity for success on critical tests, it is crucial that they have ample time to devote to preparing for these exams. Through beginning the test prep process well ahead of any scheduled exam, your child will be able to give their all to tutoring or small group classes, all the while being able to juggle their passion projects or extracurricular activities. Make no mistake, when it comes to planning an Optimal Test Prep Program, an awareness of the importance of timing and balance simply can’t be undervalued. At Achieve Academics, we recognize each student’s potential—no matter his or her learning style, strengths, weaknesses, or academic goals. Start off your student’s path to college on the right foot by preparing early and watch as your student reaps the benefits in the years that follow. Achieve Academics, offers offer a variety of small group classes and one-on-one tutoring services that not only boost your student’s SAT, ACT, and/or AP performance, but also provide personalized strategies so that students stay engaged and proactive throughout their academic career. There is no disputing the fact that high school guidance counselors work hard to provide students with all the tools necessary to help them to achieve their potential. However, considering the sheer number of students that high school counselors are tasked with assisting, time is not often in abundance. In fact, one U.S. Department of Education survey revealed that students in public high schools receive less than 40 minutes of college counseling from their guidance counselors. Guidance counselors are not to blame, however. Even with the greatest of intentions, goals, and objectives, the reality is that there are only 24 hours in a day, and even the best high school counselor in the world only has so much time to dedicate to each student. That’s precisely how the field of private college counseling emerged. In short, the demand for personalized college counseling outweighed the supply. Today, private college counselors play an integral role in helping students navigate the seemingly daunting task of applying to college in an increasingly competitive educational landscape. Here are four reasons to consider engaging the services of a private college counselor to help you and your child through this process. Studies as recent as 2016 show that a full 70% of high school students feel stressed about applying to college. However, when utilizing the expertise of college counselors, students feel less anxious. This is undoubtedly because they have a trusted professional acting as their ally to help them through the process of identifying the best possible choices, meeting deadlines, determining alternative plans, applying to schools, and much more. One-on-one work with an experienced college counselor will ensure that the entirety of your child’s character is taken into consideration when identifying potential colleges. For example, if your child is determined to find the best mechanical engineering program, your college counselor will help with that. Or, if your child is extremely interested in politics, college counselors can guide them to universities with a thriving student government. When it comes to creating a list of potential schools which best match your child’s interests, a college counselor will prove invaluable. College counselors are often privy to useful information such as which essay topics have been exhausted, how much weight certain extracurricular activities will carry with various schools, and what students should expect in various admissions interviews. This will help ensure that your child’s application has the best chance of being noticed amongst the thousands of other applications the admissions department is reviewing. After your child receives notification of acceptance, college counselors still play a useful role in helping your child to compare the strengths of each offer, including any potential financial aid packages, so that your child can make the best decision for their immediate and long-term future. As the time draws near for your student to make one of their biggest life choices, it’s certainly worthwhile to consider engaging the services of a professional college counselor. From reducing stress, to making the application process simpler, to identifying and ultimately selecting the best school for your child, college counselors can be worth their weight in gold when it comes to your child’s future success. From private, one-on-one tutors and small group classes, to comprehensive test prep, and professional college counseling, Achieve Academics offers the best in college preparedness. Our college counselors are equipped with the expertise, experience, and resources necessary to help your child through the process of applying, choosing, and accepting a college admissions offer. When it comes to prepping for the ACT or SAT, plenty of teachers and parents emphasize the importance of test prep, practice tests, and quality study habits. Though they’re certainly not wrong, it’s just as important to remember to treat your body right in preparation for high-pressure exams like the SAT or ACT. After all, your mind is an organ at home in your body, so proper nutrition goes a long way to boost your brain before the big day. How can students take advantage of the power of brain food? Take a look below. Nutritionists know that meeting your daily vitamin and mineral requirements gives your body and mind an overall boost when it comes to energy and performance. Both iron and B-vitamins are helpful in maintaining mental energy, so encourage your child to consume some of these power foods in the week leading up to a big exam: spinach, ground beef, kidney beans, whole-grains, eggs, and nuts are all excellent options. Sure, vitamin C tablets can help a student with his or her daily dosage in a pinch, but biting into a real orange is a lot healthier and nutrient dense than a chewable tablet. Don’t let your child skimp on whole foods in the days leading up to the SAT or ACT. Instead, focus on full, mindfully-sized, and balanced meals that combine multiple, vitamin-rich food groups. Not only will it nourish your child’s body, but his or her brain will reap the positive effects, as well. 3. Don’t underestimate a good breakfast. You’ve likely heard it time and time again: breakfast is the most important meal of the day. But don’t let your child convince him or herself that a donut and a cup of coffee are enough to satisfy early morning nutritional needs. Eating a nutritious and appropriately-sized breakfast sets the stage for optimum metabolic activity throughout the day, while keeping hunger—the great distractor—at bay. Try preparing a protein and vitamin breakfast, using ingredients such as eggs, a whole-grain muffin, bananas, and yogurt. 4. Use snacks as a study strategy. Maintaining blood sugar levels by incorporating a few varying nutritious snacks during studying not only help to keep your student on track during crunch time, it also makes sure that energy levels stay even. Especially students who tend to cram with the help of energy drinks or multiple cups of coffee, snacks go a long way in avoiding a blood sugar crash when the caffeine buzz wears off. A handful of almonds or a banana with peanut butter make great options for smart snacking. At Achieve Academics, we proudly offer a variety of one-on-one tutoring and small group class options for students of all learning styles and academic goals. We recognize that successful study habits and test prep should be attuned to your child’s specific needs. Our holistic, tailor-made approach to test prep ensures that your child will master academic building blocks and study habits that will last a lifetime. As the SAT and/or ACT exam dates loom, keep in mind some of the techniques above to provide your child with the brain food necessary to ace his or her upcoming exam. Colleges often claim that admissions processes take a holistic view of students, and that no one area - ACT/SAT score, GPA, application essay - holds more weight than the next. While having a balanced candidate profile when applying for college is an ideal goal, the value of high ACT/SAT scores is not to be underestimated. Not only does outstanding performance on the ACT or SAT send a strong, distinct message to colleges, it also makes a variety of scholarship options available to your child - guaranteeing that you, as a parent, get a high rate of return on the time, effort, and resources applied toward test prep. Merit-based scholarships have among the most significant impact on reducing college costs overall. While these scholarships allow parents and students to get the best bang for their buck, they’re also an inspiring award for all the hard work your student puts in throughout his or her high school career. Each college awards merit-based scholarships on its own terms, but a recent release from the University of Rochester provided a rare glimpse into just how vital a role ACT and SAT scores play when it comes to allotting scholarship dollars. The numbers were astounding. For every ten points above average that a student earned on their SAT score, he/she was awarded about $115 in additional funds, per year. As for the ACT, every point above average amounted to an average $425 in allotted merit funds. Let’s use an example. Should you invest an average of $1500 into test-prep, and as a result your student performs about 150 points better on the new SAT scale or 4 points better on the ACT (a reasonable test-prep goal) than the average accepted student - then over the course of your student’s college journey your family could save about $2,000 per year or $8,000 over four years at the University of Rochester. Scholarship levels will vary school by school and requires individual research. Another example can be found using the University of Arizona’s model, where a student with a 3.25 GPA and 29 ACT will receive $6,000 additional dollars per year versus a student with the same GPA and 24 ACT. Five points can mean a $24,000 tuition difference over four years. The result? Test prep classes yield a significant ROI, which is why parents should think of ACT and SAT scores as opportunities for tuition waiving and consider determining their own ROI for their student's test prep services. Remember, merit-based scholarships typically are granted on a four to five-year level, assuming your child continues to perform well in college. Not only does the monetary return on test prep go up in value, consider that foundational pre-college test prep equips students with the building blocks necessary to study effectively beyond high school - helping to secure ongoing merit-based scholarships throughout their college careers. Now, weigh the fact that high-performing ACT/SAT scorers are far more likely to be accepted at competitive universities, and combine that knowledge with what we now know about merit-based scholarship allotments. Suddenly, the value of test prep isn’t abstract, but quantifiable. All in all, test prep allows students to perform with more confidence and ability, in turn boosting their chances at being accepted to the college of their choice. What’s more? The odds of your child receiving a merit-based scholarship that he or she can maintain for the long term go way up, too. At Achieve Academics, we understand first-hand the value of quality, successful test prep. Not only do small group classes or one-on-one tutoring options build academic ability and confidence within your child, it also provides him or her with personalized study strategies and habits that last well into college. ACT/SAT scores certainly don’t define your child or their chances of success, but they can absolutely make a difference when it comes to being accepted at his or her top choice university, as well as determine how much tuition comes out of your wallet. In other words, an investment in quality test prep early on can pay dividends shortly down the road. At Achieve Academics, we’re here to help both you and your child reap the rewards of test prep, no matter your student’s needs, learning style, or goals. From freshmen to seniors, there are worthwhile strategies that students can employ in 2017 that will vastly improve the college admissions process ahead. With the clean slate of the New Year upon us, consider these academic resolutions as you and your student make your way through 2017, together. First year students should create specific college application goals early on. Of course, interests and plans will evolve as the high school years go by, but that doesn’t mean he or she can’t make a timeline for college visits, prepping for the PSAT, SAT, and/or ACT, scoping out potential AP courses, extra-curricular activities of interest, and the like. By creating an overarching outline of their college preparedness plans now, freshman students can greatly reduce the stress associated with test prep and applications when the time to apply arrives. Many high school students wait until junior year before considering college admissions tests, but sophomores who take a hands-on approach to test prep won’t have to work their way up from a low score, or agonize over last-minute cram sessions. By encouraging your child to prepare for the PSAT, as well as research the right admissions test for their skillset (SAT II subject tests, the ACT vs. the SAT), he or she can focus clearly on honing their scores come junior year. In the midst of maintaining a solid GPA, prepping for the ACT/SAT, participating in activities, and the like, most students have to hustle to complete applications on time. Proactive juniors should use their valuable third year of high school to make a game plan for applications, allowing themselves enough time to create multiple essay drafts, seek letters of recommendation, and thoughtfully engage with college apps at an unhurried pace that’s ideal for best results. Take a deep breath. For parents and students alike, the college application process has likely been a whirlwind. Even for families that prepare early and in detail, the emotional rollercoaster of college admissions merits you and your student some well-deserved time off. Don’t forget that the journey is just as important as the destination. The hard work and preparation he or she has put in will pay dividends in the future, no matter where he or she arrives for college in the fall. At Achieve Academics, we recognize that academic preparedness begins early on in a student’s life. That’s why we’ve identified and possess the tools and resources necessary to make your student’s high school career and college transition a positive and successful evolution. Whether your student is prepping for the SAT or ACT, AP tests, or brushing up on the basics, we have small groups classes and one-on-one tutoring that can make 2017 a year of life-changing academic growth for your student.